While I’m not doing a regular crime and mystery review column any more, and you’d have a very hard time talking me into the idea again, I still manage to knock out seven or eight standalone reviews every year in the old print medium — if I weren’t so lazy, I might do as many as ten or twelve. The Big Book of Black Mask stories Otto Penzler put together is one of the best deals ever, and now that it has been out a few months, I’ve even seen copies reduced from stock in the Edward R. Hamilton remainder catalogs for around $16. A sweet bargain for anyone who wants to sample more fiction from the Mask than has ever before been assembled in one place. For my short, regular review I said this book deserves a Star, and it does, and I heard that the editors liked the review so much they even put it in a box. Ah, the shorthand signals to alert readers and booksellers that something great is about to hit the shelves! Although Otto is by no means the first with a collection from the Mask (his foreword neatly covers the earlier action), he certainly comes through with the mostest. Over one thousand pages, double columns, packed with wordage. If you’ve got any curiosity at all about the fiction that appeared alongside Hammett in the twenties and Chandler in the thirties, here you go. Although when push comes to shove, life is short — if you read Hammett and Chandler you’ve read the best from Black Mask, and you could go on to the next thing on your list if you’re in some kind of hurry. This Big Book includes several things I especially like — for example, the original illustrations and headings for most of the stories, evoking a period feel. The episodic six-part novel Rainbow Diamonds by Raoul Whitfield, writing as Ramon Decolta, featuring the Filipino Private Eye Jo Gar, appears in a book for the first time since its original run in the Mask. In 2004 for Alfred Hitchcock’s Mystery Magazine I reviewed Jo Gar’s Casebook, which collects all the other stories in this series — everything except Diamonds. Yeah, it would have been better if every Jo Gar exploit had appeared in one book, but finally you get the chance to read them all — not as hot as Hammett’s Continental Op series, but solid second tier. 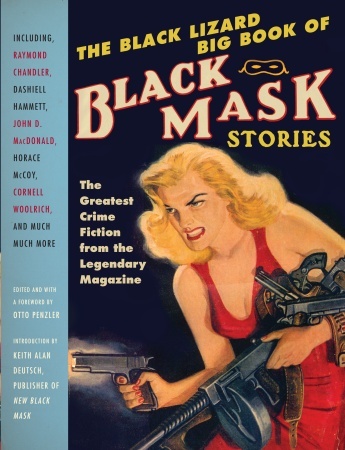 Plus you get Erle Stanley Gardner’s first sale to Black Mask and a host of other stuff. Even some sociological import — fiction by the first Japanese-American crime writer, hard-boiled action by gay crime writers William Rollins Jr. and Cornell Woolrich, as well as a dame who managed to break into the almost exclusively male ranks of this premiere tough guy school of detective fiction. But for purposes of this shadowy, blood-stained alley in a remote corner of a nighted city on the dark side of good old planet Blogosphere, there is one major reason why any big fan of Hammett desperately needs to have this book clutched tightly in his paws: it reprints in full The Maltese Falcon. Yeah. I know what you’re thinking, because I was thinking the same thing. The review copy was dropped on the doorstep just as I was heading out for the evening. I glanced over the contents quickly, and thought: it reprints The Maltese Falcon???!!! Jeez, everyone has read The Maltese Falcon. . . .
What a stupid waste of space. . . . Yet, if Otto wanted to reprint Hammett’s most famous novel, honestly, how violently could I kick about it? No other single novel stands over the entire run of a magazine the way Falcon looms over Black Mask. 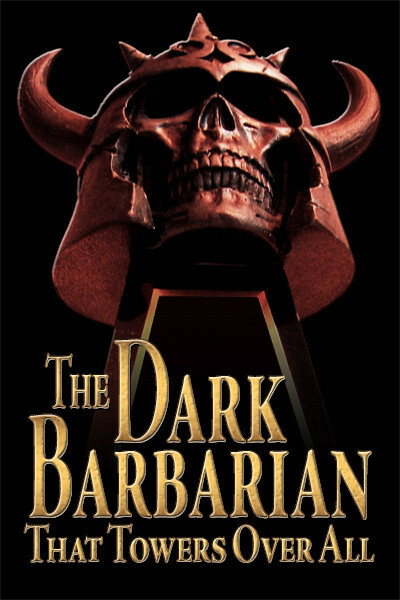 The undisputed classic from a pulp that has achieved legendary stature, and a big chunk of that legend depends on Hammett creating Sam Spade. Within five years of hitting print in those pulp pages, the Sam Spade adventure was the first contemporary detective novel picked up for inclusion in the prestigious reprint series from Modern Library — the 1934 publication of that edition hinted that Hammett had written an enduring work. Now over eighty years later Falcon stands alongside other novels that have made the grade as classics in the Big Read program from the National Endowment for the Arts. Got it. A classic. 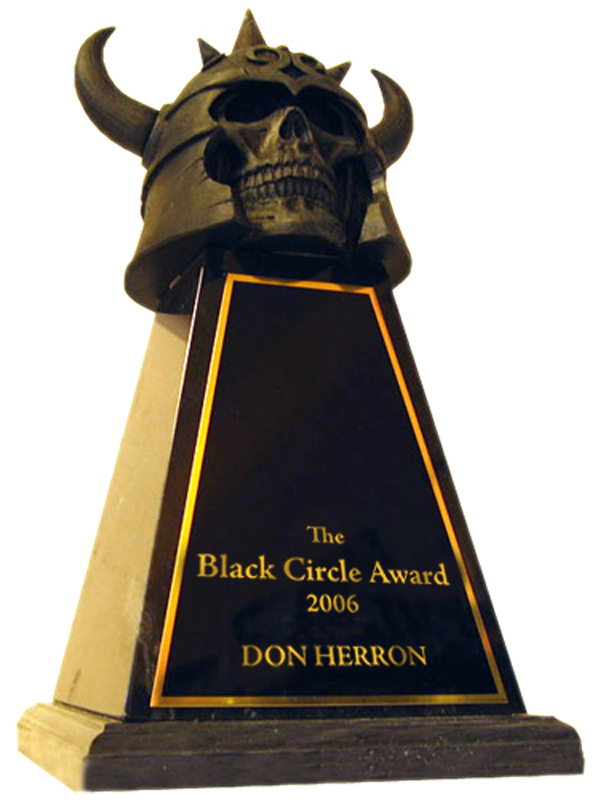 Deserving a big chunk of pages in any Big Book of Black Mask. But then I thought about it some more — would Otto actually be happy to just reprint a novel everyone has read? Sudden excitement set in. There was another option. Maybe Otto had reprinted the original text of the novel from the yellowed wood pulp pages — a text that has never been reprinted before. When Hammett prepared his novels for hardcover publication by Knopf, he worked them over — it is known that he made some 2000 textual changes from the version in the Mask for the 1930 hardback of The Maltese Falcon. For example, the chapter in the novel that appears under the title “The Levantine” in the pulp is called “Cairo’s Pockets.” Plus some 1999 other changes, as Hammett established the final text. And all these years, most Hammett fans who may have wanted to see what changes he made haven’t been able to do so. Those issues of Black Mask aren’t all that common and they certainly are priced out of the budgets of most people. Only a year ago it would have cost you thousands of dollars to assemble those issues in order to read the pulp version of the Falcon. Now, thanks to Otto Penzler, it’ll cost you less than twenty bucks. I’ve been playing this edition up big time on the tour. The Black Mask Black Bird. The most exciting thing in Hammett studies in a longggggg time. Grab a copy for your complete collection of Hammett. This entry was posted in Dash, Lit, News, Tour and tagged AHMM, Big Read, Black Mask, Cornell Woolrich, Erle Stanley Gardner, Falcon from Knopf, Jo Gar, Otto Penzler, pure texts, Raoul Whitfield, Raymond Chandler. Bookmark the permalink.